Bergey’s auto parts warehouse welcomes all other dealerships to our warehouse facility. We proudly serve all dealerships in your quest for finding parts that you may not have on your shelves based on space or any other reason. With this knowledge, Bergey’s warehouse has the space to stock millions of dollars in original equipment so that your dealership can lean on us if need be. We have millions of dollars invested into stocking mechanical and collision parts that are just right for your customers and stock larger quantities than most smaller dealerships can hold on their shelves. 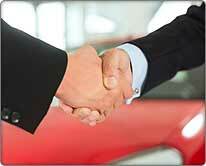 We take pride in being able to serve other dealerships. Current wholesale accounts, please find our Auto Parts catalog for your mechanical Chrysler, GM and Ford parts online ordering convenience.